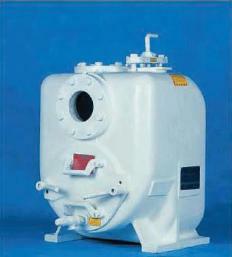 The PA Series Pump is a single stage, back pull-out, end-suction centrifugal pump. It is available in 41 sizes, from 2x1.25-5 (50x32-130) to 12x10-16 (300x250-400) for heads up to 690 feet and flows to 5300 GPM. 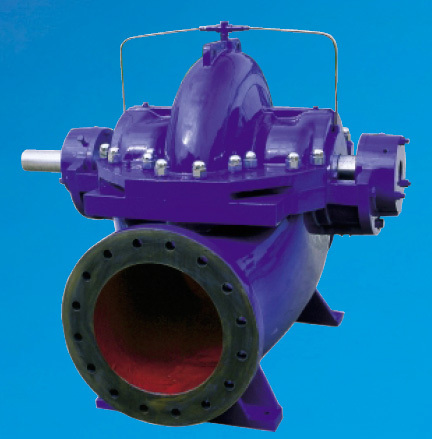 The PS Series is a double suction, horizontal, split case centrifugal pump available in 46 sizes from 5x3-8 (125x80-210) to 36x36-31 (900x900-780) for heads up to 656 feet (200 m) and flows up to 80,000 GPM (18,000 m3/hr.). The PS Series has a maximum operating pressure of 435 PSI (30 bar) and a maximum operating temperature of 221o F (105o C). 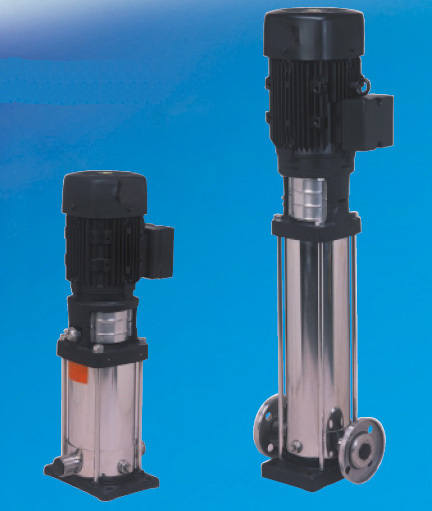 SP Submersible Sewage Pumps are mainly used to pump waste, sewage and mud with solids for municipal, industrial waste-treatment plants and dewatering at construction sites. They exhibit excellent performance due to an impeller with a single or double blockage-free vane, which avoids jamming and clogging. 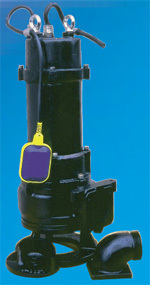 They are very convenient to install; a quick disconnect, portable version of this pump is available. 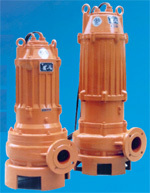 The PBS series submersible borehole pump is mainly used for raw clean water supply.